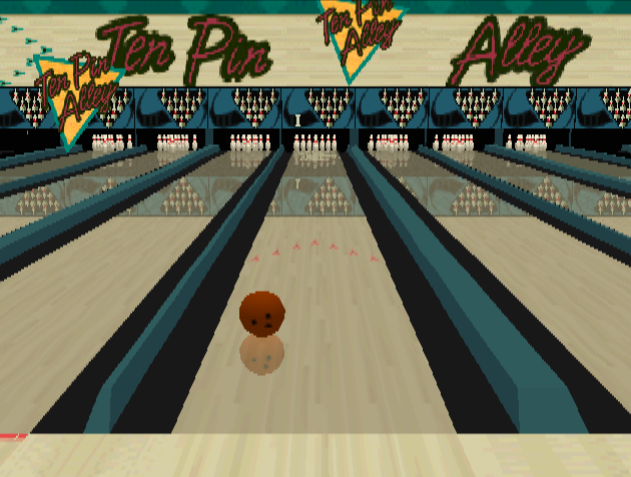 Tin Pin Alley is a realistic-style bowling game which incorporates all of the major mechanics of bowling. 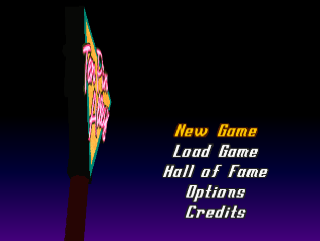 The controls are sensitive and quite difficult to master at first. This game even allows you to fling the ball in the air with hilarious results. You can also potentially end up sliding down the lane face first. 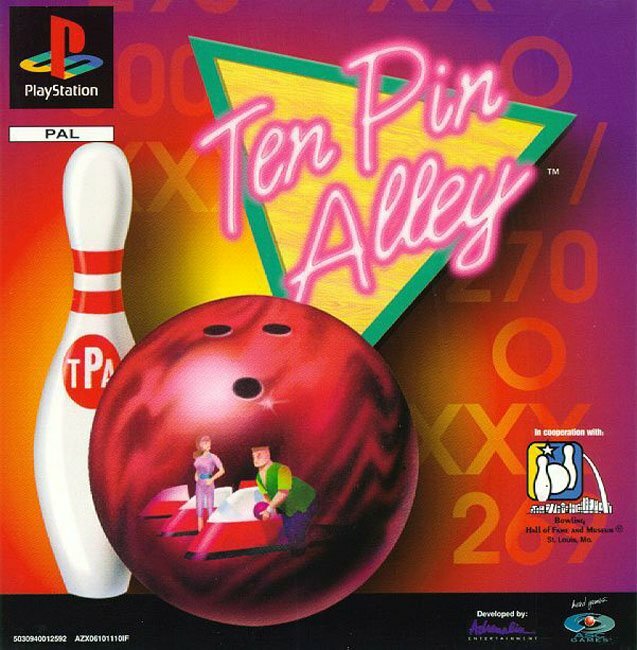 If you are looking for a bowling game for the original PlayStation, Ten Pin Alley is your best choice. A fun game with good bowling physics. Now you can add videos, screenshots, or other images (cover scans, disc scans, etc.) 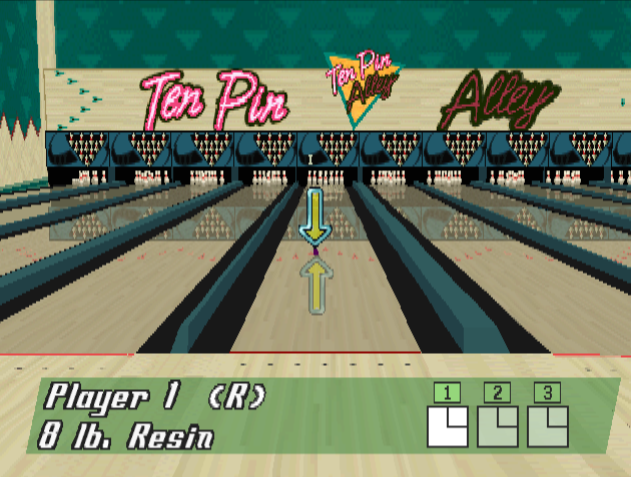 for Ten Pin Alley [U] to Emuparadise. Do it now! If you haven't noticed yet, we have a retro game of the day feature (top-right of the screen) wherein we feature a new retro title every single day! Now, you can vote for your favorite games and allow them to have their moment of glory. 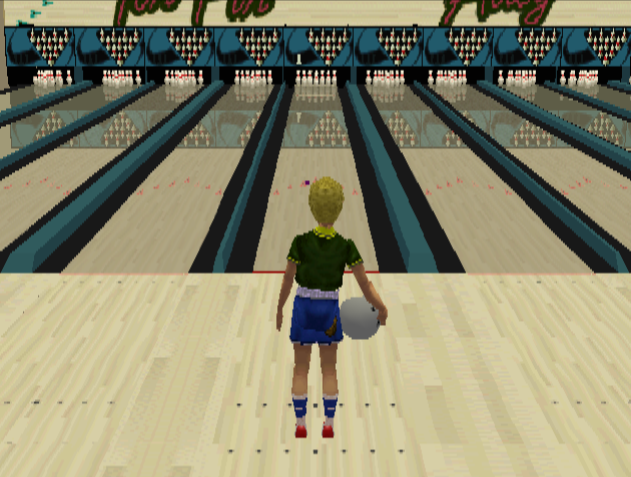 Click on the button below to nominate Ten Pin Alley [U] for Retro Game of the Day.